The Border Collie is a very athletic, medium-sized dog that is part of the herding group. They were developed for herding sheep along the border between England and Scotland. The AKC recognized the Border Collie in 1995. 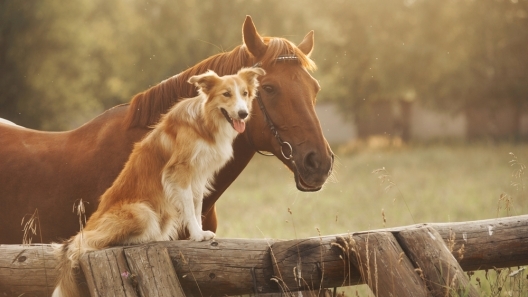 Border Collies are still used as herding and working dogs on farms and ranches today. In addition to making a great companion for an active family, they excel at dog sports like agility training, tracking, obedience, and more. The Border Collie is a very energetic dog that craves their owner’s affection. They are highly intelligent, loyal, affectionate, and responsive. However, they are not cuddly couch potatoes. Border Collies love to work and be on the move. They get along well with children and other dogs. Although they are a friendly dog breed, they can be reserved or slightly suspicious with strangers. Early socialization is key with any dog breed. It can go a long way in directing the seemingly endless energy and herding tendencies of the Border Collie into more positive activities. If left to their own devices, a Border Collie will start to invent their own games. 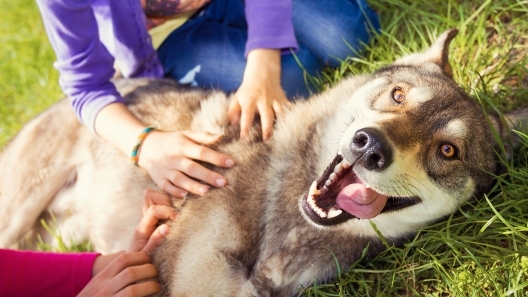 This dog breed is sensitive, but is also relatively adaptable. Although they are high energy, they can adapt to apartment living as long as they get plenty of exercise. They are not fans of cold or hot climates, so will be happiest in a moderate climate and in a space where they get to run. They are okay with being alone, but can start to exhibit destructive behavior if they do not get enough exercise or mental stimulation. This is a generally healthy dog breed, but there are a few health conditions to be aware of. Hip dysplasia, elbow dysplasia, von Willebrand’s disease, hypothyroidism, and Retinal Atrophy are all health issues for which the parents can be tested and cleared. Checking with the breeder on the genetic history of the parents is a good idea and getting health clearances can allay some of these concerns. 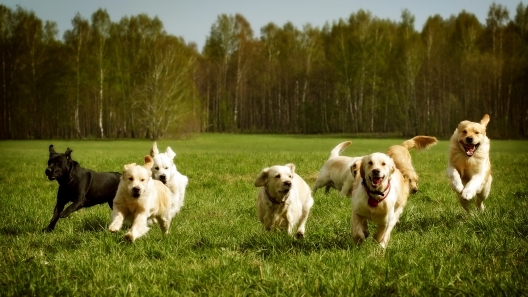 These dogs are always quick and eager to learn new commands. However, they tend to be very difficult for the average person to train, so may not be a good fit for novice dog owners. Even an experienced dog owner may benefit from some training classes. The classic Border Collie coat comes in two variations – rough and smooth. A rough coat is medium length and is flat or slightly while a smooth coat is short. Common coat colors can vary from bicolor, tricolor, solid, merle, or sable. Since Border Collies have a weather-resistant double coat, they only need to be brushed weekly. During the seasonal shedding seasons, it’s a good idea to brush more frequently. This will not only help your dog be more comfortable by removing the loose fur but it will also help to minimize shedding. Your pup will only need to be bathed about once every four months and when they get dirty or smell terrible. You’ll want to trim their nails on a monthly basis as needed and brush their teeth regularly. Daily tooth brushing is best, but two to three times a week is sufficient to remove tartar buildup and decrease bacteria in the mouth. It’s also a good idea to check their eyes and ears weekly to spot any potential health problems early. Border Collies are a high energy dog breed that need plenty of exercise. These dogs have been bred to run miles a day, so they should be taken on two 30-minutes walks a day, at the very least. They would also benefit from trips to the dog park, running, hiking, or swimming if they like the water. In addition to daily exercise, making sure your Border Collie has a job to do will go a long way in keeping them busy and happy. Border Collies often range between 18 to 22 inches at the shoulder and weigh between 30 and 50 pounds. This dog breed generally lives 12 to 15 years. The Border Collie was originally called a “Scotch Sheep Dog”. This dog breed also held a feature role in the movie Babe. The Border Collie is the most intelligent breed of dog. 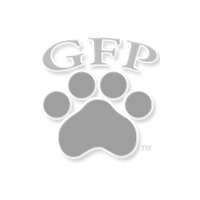 They are highly trainable and make great family pets if they have an owner who can give them the proper attention and structure that they need. Named after the border region between England and Scotland, this breed has often been used as a herding dog due to their great skill, agility, and awareness to their surroundings. They can also move very quickly in a crouched position, like a cat, which helps them with the task of herding. They have been used not only as herders, but sled dogs, search and rescue dogs, therapy & assistance dogs, and more.